You know side dishes that you go back to over and over again because they are yummy and easy and go with everything? 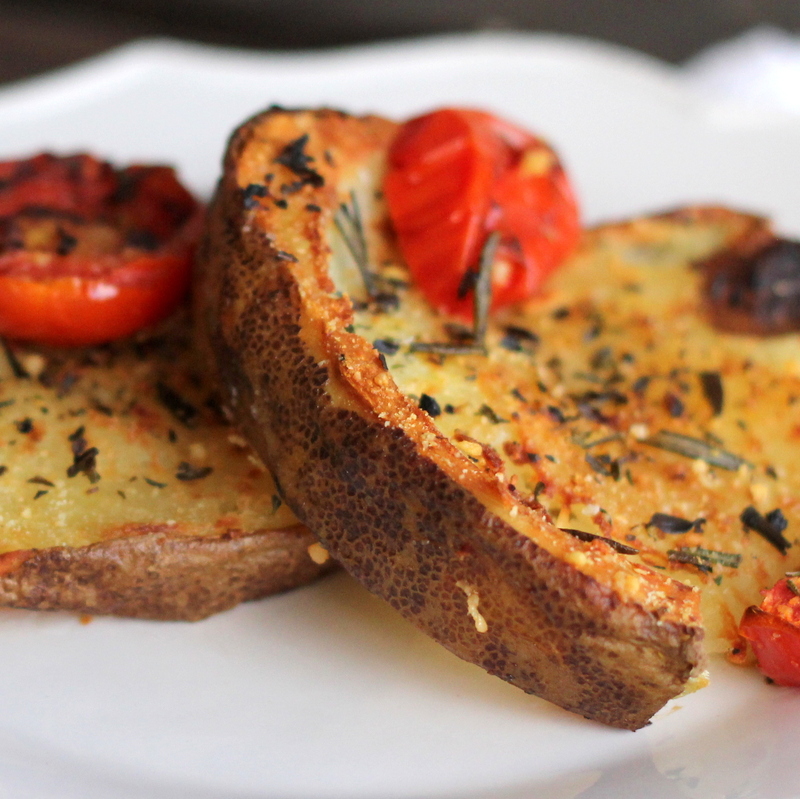 These crispy, herb-y, parmesan-y potatoes are one of those for us! I can’t believe we haven’t ever put the recipe on here, actually. Time to remedy that. First gather and wash your potatoes (I usually make these when we’re having friends over for dinner, and I generally use five or six medium sized russet potatoes). Slice off each end and then divide the middle section into a couple rounds that are a little thicker than the width of your finger- each potato generally cuts into four pieces, including the two ends. Place rounds and ends in a pot of boiling water until fork tender. Drain immediately (allowing them to sit in the water makes them absorb water and become starchy). Heat an oven to 425 degrees. Drizzle olive oil onto a baking pan (or two) and place the round on the pan(s). Using a cup, press into each round of potato to smash flat. By the time you’re finished with all of the rounds, the entire pan will be covered with smashed potatoes (you can add halved tomatoes in between at this point if you want). 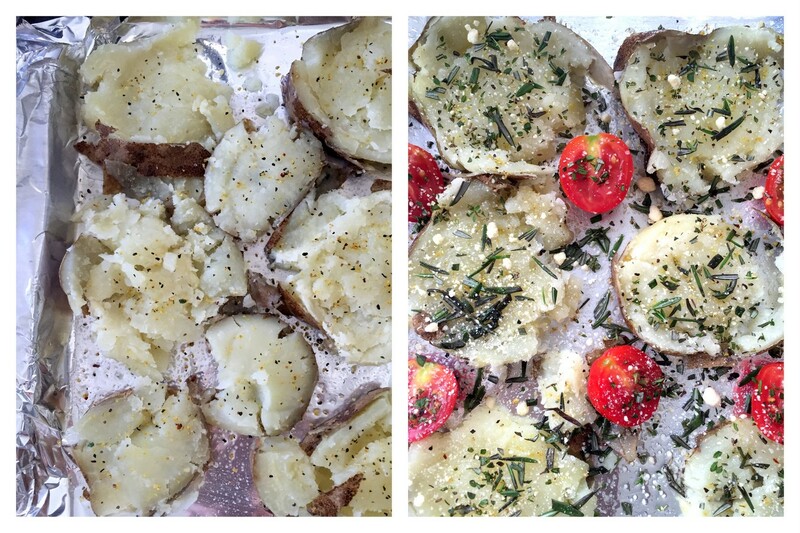 Drizzle more olive oil on top of the potatoes and add a generous sprinkle of whatever fresh herbs you have on hand. 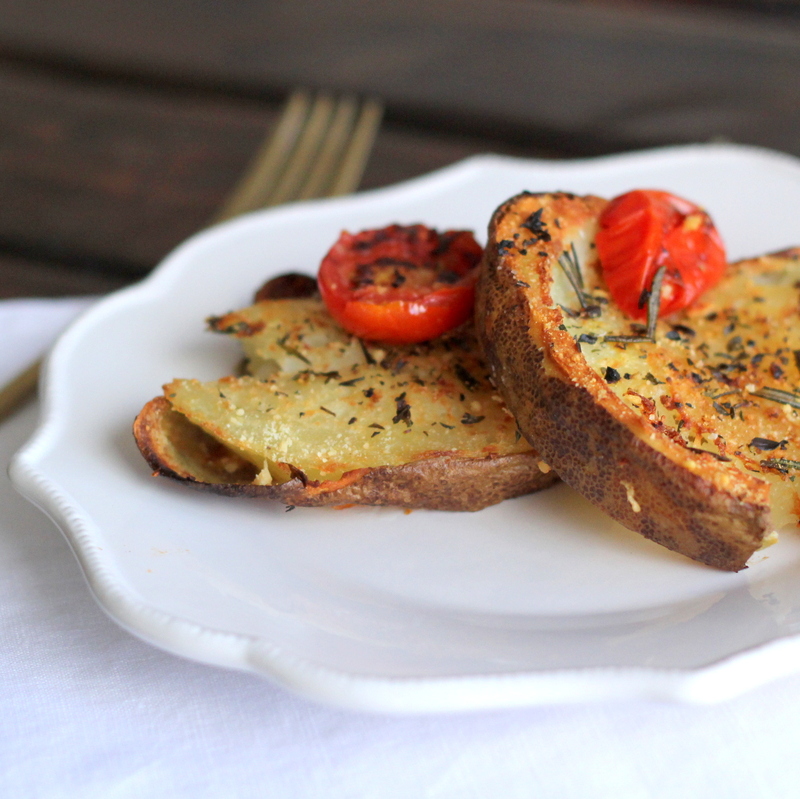 Rosemary and thyme are my favorite, but any herbs that pair together well will work. Let me say it again- be generous in your sprinkle. Sprinkle with coarse salt as well (about a tablespoon per pan). Then sprinkle parmesan cheese over the entire pan (about 1/8-1/4 cup per pan). Bake for 25 minutes until crispy on the edges (and amazing). 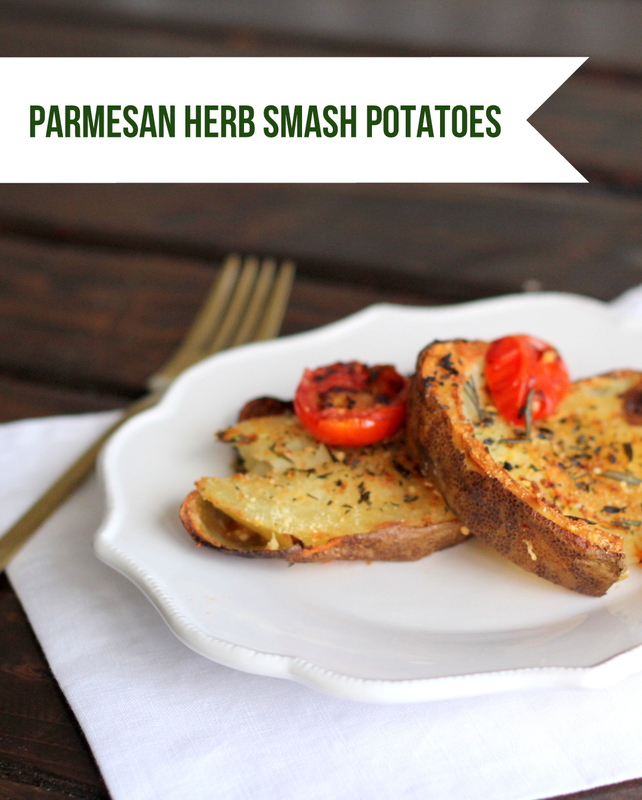 This recipe looks easy enough to prepare for a last-minute summer party!